Half of the public does not believe the allegations that Vodafone was let off a £6bn tax bill by the Government, but several mobile providers are more highly regarded, new figures show. Allegations that mobile phone giant Vodafone was let off a £6bn tax bill have been taken with a pinch of salt by the general public, new figures show. More than half of the 3,000 respondents to PRWeek/OnePoll's latest survey said their opinion of the firm had not changed since the story broke. And the public was split on whether they believed the allegations - which Vodafone has denied. While 52 per cent thought they were true, 48 per cent did not. But when asked if they believed the firm's stance that the story was an urban myth and its assertion that it met its tax obligations in the UK, 58 per cent said no. However, 63 per cent did not believe that the timing of the story, which broke just as the UK prepared itself for spending cuts, was a coincidence. It would appear the story may have had an impact on Vodafone's reputation when looking at the mobile sector as a whole. As our graph shows, the firm was not the mobile phone provider of which the public had the highest opinion. That honour went to O2, chosen by 37 per cent of respondents, followed by Orange, chosen by 22 per cent. Vodafone was chosen by nine per cent of respondents. When questioned on tax avoidance in general, 24 per cent of respondents said they did not think it was immoral, just good business sense. Three-quarters of respondents said they thought it was fraudulent. But 52 per cent of the public disagreed with the protesters' argument that the alleged £6bn tax deficit could have been spent on social welfare, saying the system did not work like that. So the public is angry and Vodafone's reputation has been damaged - that's clear. A major British multinational has avoided paying £6bn in tax - not so clear. The problem with this story is no-one really knows the facts. HMRC has not published any details on how it has calculated Vodafone's tax bill, yet questions such as 'Has your opinion of the Government changed since the story of it letting Vodafone off a £6bn tax bill broke?' suggest we have been robbed. 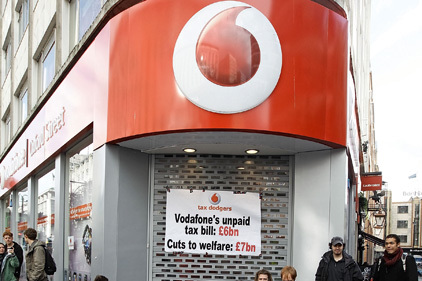 The only way to truly rebuild trust in Vodafone or the Government is to publish the facts. Right now perception is being shaped by speculation. The old saying 'a rumour can travel halfway round the world while the truth is putting her shoes on' may be a fair assessment here. The irony that the rumours are being tweeted by protesters over Vodafone's own network will not be lost on the PR team. - Whose reputation do you think has suffered the most?